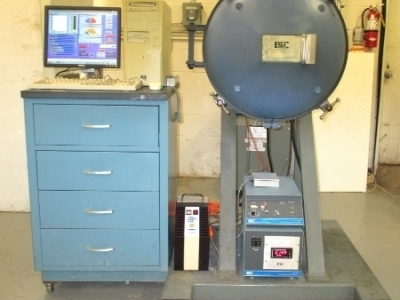 The adiabatic calorimeter is used for reactor and pilot plant safety analysis; it determines the time, temperature, and pressure relationships for exothermic reactions. 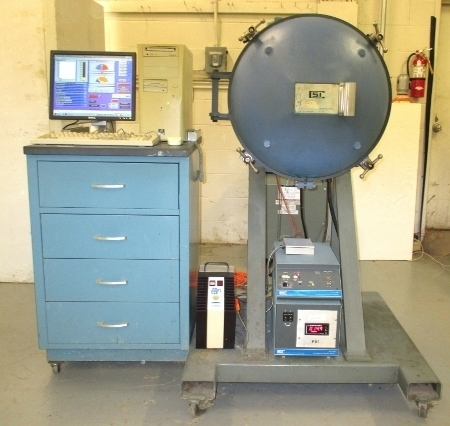 Thermal and pressure hazard parameters include onset temperature, adiabatic temperature rise, heat and pressure generation rates, and time to maximum rate. 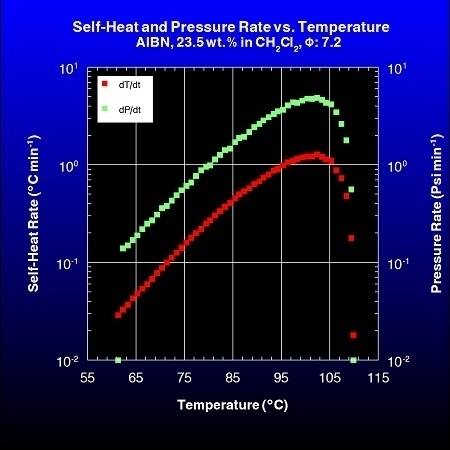 Typical self-heat and pressure rate data for an exothermic reaction. 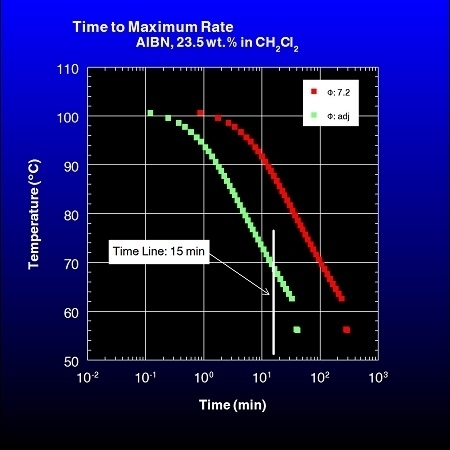 Graphic shows data for a solution of 2,2'-azobisisobutyronitrile (AIBN). 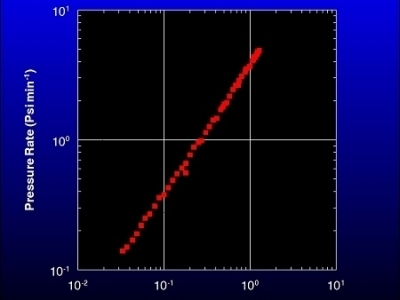 Data may be corrected for deviations from 100% adiabaticty with a thermal inertia factor. 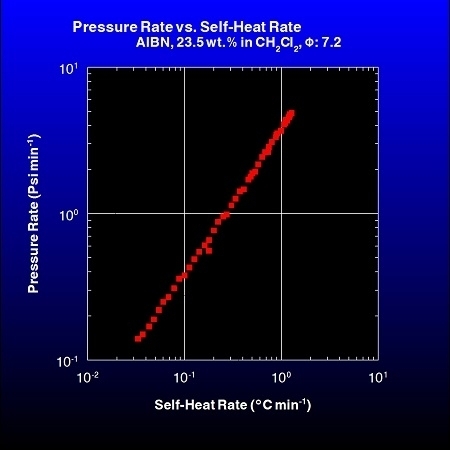 The linear relation between the self-heat and pressure rate is an indication of the reaction stoichiometry. 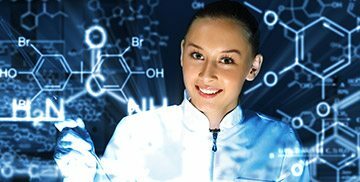 Time to maximum rate (TMR) corrected for thermal inertia may be used to determine the critical temperature for first-order reactions. 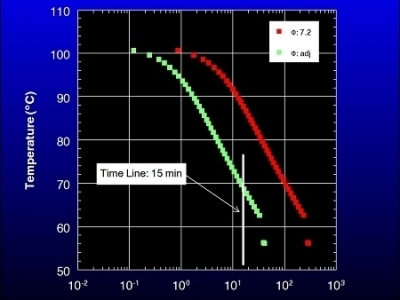 The graphic shows the time line for a 100-mL Dewar flask. 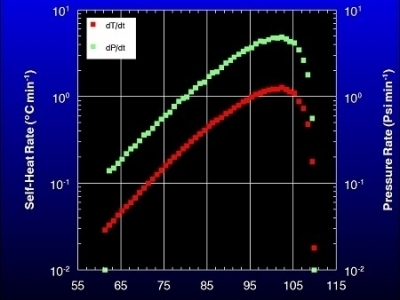 Intersection of the time line with the corrected TMR defines the critical temperature.